I love that you can take anything, make it miniature, and it’s instantly cute. Baby shoes, cute. Little nail polishes, cute. Mini Tobasco, cute. 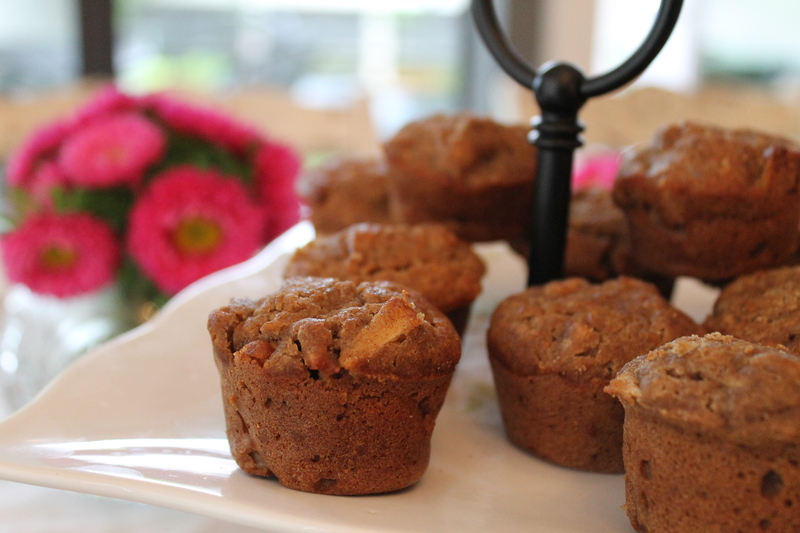 And of course, bite-sized muffins… cute. This is a universal truth. 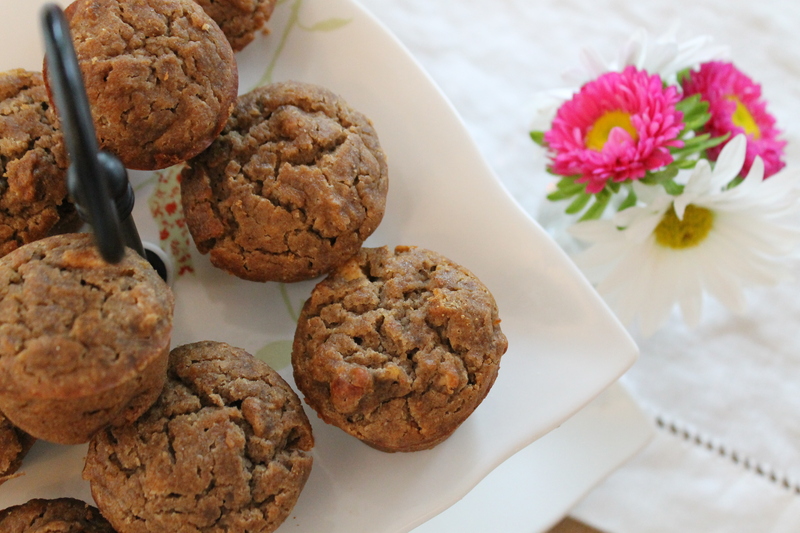 I made these little spiced apple muffins for Easter brunch a few weeks ago. They started out as an experiment with a new gluten-free flour blend, but turned out so well that I thought I’d share. You’ll notice the recipe calls for a whole-grain flour mix. You can use plain ol’ whole wheat flour or your favorite gluten-free flour blend. There are pre-blended mixes out there, or you can try making your own by combining your gluten-free favorites (almond, buckwheat, brown rice, tapioca, etc.). I’ll post more about gluten-free flour blends soon. G-free folks, stay tuned! Preheat oven to 350 degrees and grease muffin pan (12 large or 24 mini). In a large bowl, combine dry ingredients (flour, baking soda, baking powder, salt, cinnamon and cardamom). In a separate bowl, whisk together the eggs, milk, oil and applesauce. Add wet ingredients to dry ingredients and stir to combine. Stir in diced apple. Fill muffin tins 3/4 full. Bake at 350 for 30-40 minutes.